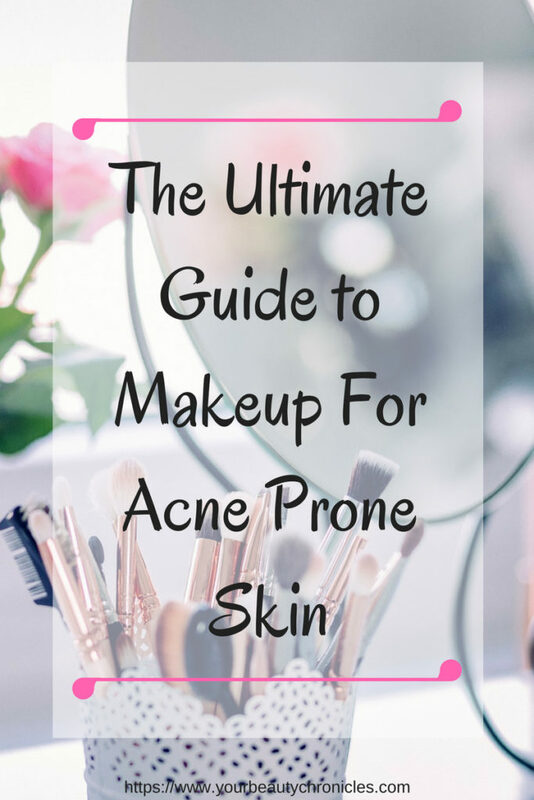 Acne prone skin tends to finicky, moody and sensitive. It needs to be handled delicately at all times. Before I start out there are 2 times you should never use makeup. One is when you have breakouts that are bleeding. So if you have a breakout that is broken do not try to use makeup or cover it with concealer. This is an open wound and you do not want to put anything on it. 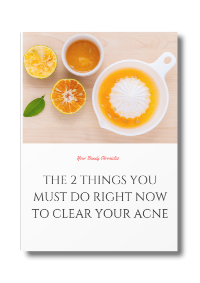 Second is when your face looks and feels inflamed. So if your face is red and is burning and itchy for some reason avoid makeup that day. Always go with your own instincts when it comes to your skin. Salespeople at makeup counters are there to help, but they may have no experience with acne. Their suggestions are always for people with less problematic skin. However, you are the best person to decide what works for you. Do not spend money unless you are really comfortable with what you are buying. 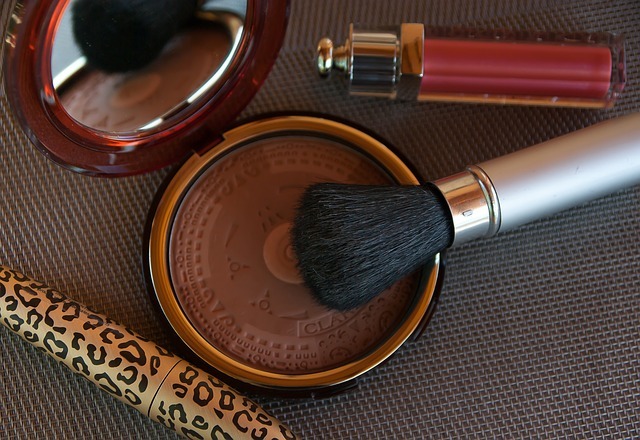 Here are some guidelines to follow when buying makeup. Before you go to any store do your homework and research at home. If you want to buy a foundation decide what brands you want to buy. Even if you are outside and see something you like, use your phone to do your research if you feel you have to have it. Look at reviews of these brands online. You can find reviews on the Amazon site. If not, a simple search will lead you to a blogger who has reviewed the makeup or a makeup site where you will find what people have to say about a particular foundation or anything else you want to buy. 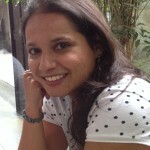 Today there are enough blogs from women around the world and you are sure to find a local one. The beauty of the Internet means you can find women with your skin tone and type who have tried it and use their feedback as your guide. There are reviews on the Acne.org site where people with acne review different brands of makeup. Check it out here. For things like foundation stick to known brands. While it may be tempting to save a bit by buying brands you have never heard about, remember this is your face and it is always better to be smart about these things. 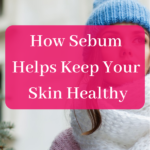 You may save a bit now but might pay for it later when your skin reacts badly. Do not be forced into buying items you do not need or into buying things beyond your budget. Sales people are there for a reason. To convince you to buy. If there is something that looks really nice you can always check out its reviews on your phone before taking out your credit card. Always always try before you buy. Makeup counters have sample bottles which you can try. Apply the foundation on your face and not the back of your hands. For years I made this mistake and tried foundation on my hands where the skin is different in type and colour than that on my face. Foundations that look good on my hand almost never look good on my face. What I do is apply 2 different foundations on either side of my face. I then go shopping or go home and see which foundation has stayed on better and looks better. You need to see how the foundation reacts with your skin throughout the day. This the best test you can do to see how a particular foundation wears on your skin. You can decide first hand whether it makes your skin look good, or has made it oily or has done nothing for you. For acne prone skin liquid foundation is the best. It gives a dewy glow while giving you enough coverage. Cream foundation is too heavy while powder foundations may clump on your skin. The foundation should be smooth enough to glide on your face and blend easily. Trust me you do not want to rub foundation into your skin and irritate it further. The foundation should just glide on your face and be easy to use. 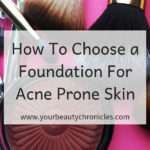 Brands like Clinique and Neutrogena have foundations especially meant for acne prone skin. These work to heal while making you look good. Not completely comfortable with using foundation when you have acne? No worries. Try a tinted moisturiser. 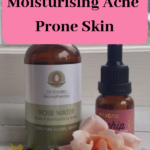 This will moisturise your skin and even it out at the same time. The coverage may not be as good as a foundation but it is a good place to start. 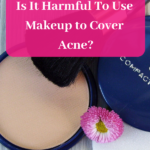 Makeup for acne prone skin should generally be non-comedogenic. This means that your pores will not be clogged when using the makeup. 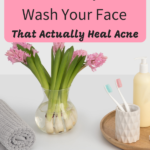 This is a plus factor for people with acne prone skin. Oil free also is great for people who already have oily skins. Start with a clean face and clean fingers. You do not need to wash your face with soap or face wash, just plain water will do. Just to freshen up your skin. Pat dry and apply moisturiser. To get a smooth look you can rub an ice cube on your face before you moisturise it. Apply the moisturiser while your skin is still damp. Wait at least 5 minutes after your apply moisturiser before you apply foundation. This gives it time to set into your skin. Pour a small amount of foundation into your palm. You always need less than you think. Make sure your fingers are still clean. If you have been doing something in the 5 minutes after applying moisturiser wash your hands. With your index finger apply dots on your forehead. You can use your finger to blend, a foundation brush or a sponge. Blend the foundation well into your skin. 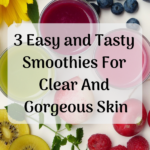 Go lightly over the areas that have acne. DO NOT RUB. The last thing you want and need is for the acne to break and bleed. Apply a dot to the under eye area and your eyelid and use your ring finger to gently spread it. The ring finger is the weakest and this ensures that you do not pull the delicate skin around the eyes. Do not forget the area between your eye and nose, at the corners of your lips and sides of your nose. Continue till the base of your neck or the neckline of the top you are going to wear. You want an even look. At the end of the day make sure you remove all traces of makeup. This can be done using a makeup remover or oil and face wash. Using a cotton ball with makeup remover or oil, remove all your makeup thoroughly. It may require 2-3 cotton balls but make sure all traces of makeup are gone. Be gentle around the eye area and do not drag the skin. You can follow this with a face wash. Remember to moisturise after. There are many articles on not using makeup when you have acne but I think if makeup gives you that extra bit of confidence go for it! Great and very helpful tips! I have always had trouble of choosing my make up and I must agree that this type of skin needs to be handled delicately at all times. 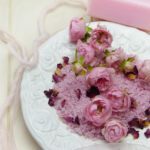 So many products on the market sometimes can be really confusing ,and we can not try them all, so we definitely should follow our instincts and listen to our skin. 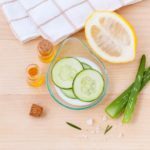 I also found some useful reviews on Acne.org that you recommended and I really hope to read more articles on your blog with similar tips.